The Joyce Thorpe Nicholson Fellowship is named in honour of University alumna, Joyce Thorpe Nicholson. The fellowship shall be awarded every second year, to a scholar or writer, to produce work that is based around the Joyce Thorpe Nicholson collection in the Library, Rare Books Collection or Archives. It is a $10,000 fellowship. Applications close 6 June 2017. 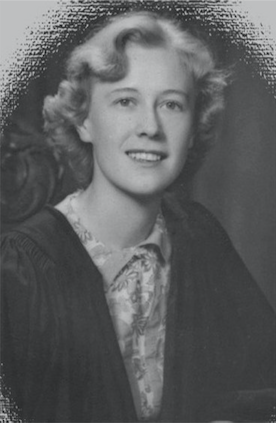 The daughter of publisher DW Thorpe, Joyce Thorpe Nicholson was born in Melbourne and educated at Methodist Ladies College and the University of Melbourne. She was active in the women's movement and the Australian publishing industry for many years, and authored over 25 books, many of them dealing with women's issues. Joyce Thorpe Nicholson was a co-founder of Sisters Publishing in 1979, set up to publish women writers as an alternative to mainstream publishers. She generously donated her major collection of nearly 2000 books by and about Australian women to Special Collections at the University of Melbourne. It includes rare nineteenth-century material, as well as scarce twentieth-century political ephemera. Potential impact of proposal on research and/or engagement with the collections and/or the local community. Relevance to the University's research, teaching and learning and engagement. Ability to present a seminar, lecture or creative work including performance on the outcomes of the research. Applicants must submit a CV (including contact details, qualifications and relevant appointments, projects and publications, and references) and a project proposal of 600 words or less, full application 1300 words. This fellowship is administered by the University Library's Special Collections.